There’s not ONE skin problem but several; depending on the one you have, your dermatologist will recommend the appropriate treatment. Impetigo – usually affects children and is characterized by red watery sores which develop into blisters before bursting. They are caused by a bacterial infection and are contagious. Scabies – this skin disease is caused by mites that go just underneath the skin’s surface. Symptoms are intense itching, bumps, and thin lines that appear in between fingers and toes, elbows and wrists. It is not serious, but is uncomfortable. Urticaria – similar to hives. They are very itchy and annoying because the skin swells and is inflamed. Hives can be caused by food, stress or pollutants in the environment. Acne – a skin problem that many teens complain about, although adults can also have acne. It appears on the face, chest and back. Depending on the severity of the acne, dermatologists will recommend a particular medication or a combination of medications, and possibly a medical procedure, if necessary. Check out the Clearin Acne Treatment website. You should always try a natural acne treatment before resorting to acne medication. Eczema – a condition wherein the skin is patched, dry and itchy. It is sometimes caused by allergies and asthma. It affects children mostly and disappears in teenage years, but factors like stress, mites and certain foods can trigger it again. Dry Skin – Many things can cause dry skin. The most common culprits are chemical soaps/ moisturizers and the dry air in winter. There are other kinds of skin problems but these are the most common. What Natural Remedies Should I Use? Your dermatologist is the best person to prescribe treatment. You can, however, do your share in minimizing the symptoms of skin diseases. Some preventive measures you can follow are avoiding stressful situations, eating foods that you know cause skin allergies, wearing sunscreen and cleaning your face thoroughly. Do not go to bed with make-up on. Wonderful skin care products made in the USA and made of natural ingredients can also complement your treatment and skin routine. These products could remove years away from your face if used properly and help maintain healthy and radiant skin. 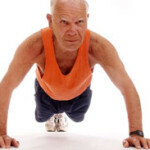 Eternal-In – this is an anti-aging supplement. While no promises can be made that you’ll look 20 years younger, you can help maintain your skin’s elasticity. Men and women can use Eternal-In. It helps prevent premature wrinkling and provides sufficient moisture for the skin. Clearin – a natural acne treatment, Clearin is perfect for both adolescent and adult acne. This made-in-the-USA natural remedy for acne will help to release excess sebum from skin, help stabilize collagen (responsible for the skin’s elasticity) and maintain skin pH. Silk Protein Formula Anti-Aging Cream – Silk contains 12 essential amino acids to rebuild damaged skin, making it softer and healthier to the touch. A favorite of many women who have reported marked improvement in their skin. Chemical Free Face Wash – Fundamental Earth makes their Natural Face Wash in America to assure quality and safety. It contains small particles of walnut husks that gently exfoliate your skin. Great for daily cleansing and acne prevention. known for its skin healing properties. 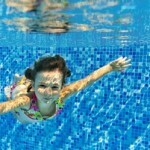 Omega 3 Fatty Acids – Fish oil is very important for the health of skin. Some people have eliminated their eczema solely with the supplementation of a Fish Oil Supplement containing high potency Omega 3 fatty acids. Make sure that your supplement is molecularly distilled, which means all of the mercury was taken out. Organic Lip Balm – You need to protect your lips from getting too dry. An organic lip balm is the best natural lip balm to use because you’re not using harmful chemicals. 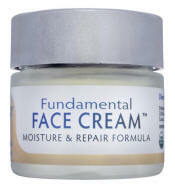 Fundamental Face – finally, an organic face cream that many consider the best natural wrinkle cream available. Natural skin care remedies include: good diet, exercise, good multivitamin, chemical free face cleansers and moisturizers and stress control. By using natural products you avoid the side-effects of some chemical laden acne products.